The invaluable National Film Preservation Foundation is currently in the process of restoring a silent one-reel comedy titled Cupid in Quarantine from 1918. 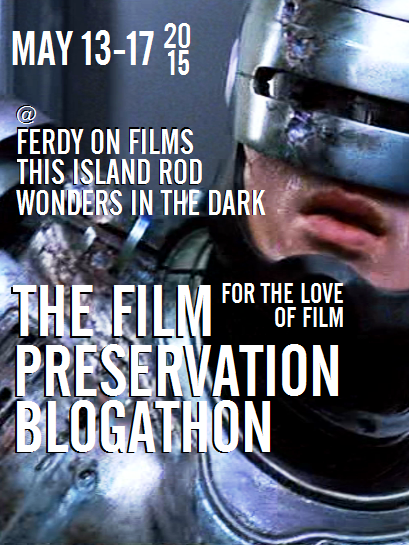 In order to raise funds to cover lab costs for its preservation as well as the recording of a new score to accompany its online premiere, the essential movie blogs Ferdy on Films, Wonders in the Dark, and This Island Rod are hosting the annual “For the Love of Film” blogathon. 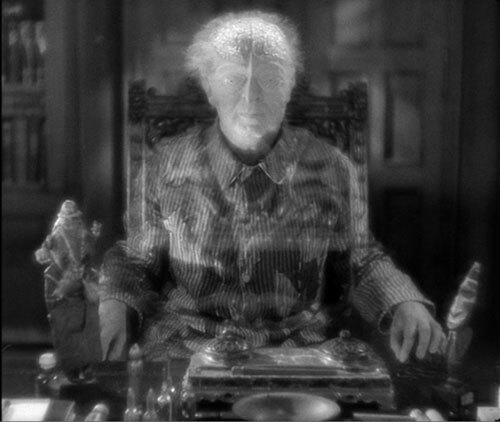 White City Cinema is proud to be participating in this blogathon again by contributing reviews of two silent masterpieces newly released on home video in new restorations: Variete and The House of Mystery. Please consider making a donation to the National Film Preservation Foundation, no matter how small, after reading my review. Film preservation is a very worthy cause! My two favorite home video releases of the year so far are Flicker Alley’s DVD of Alexandre Volkoff’s 1923 “cliffhanger” serial The House of Mystery and Edel Germany GmbH’s Blu-ray of E.A. Dupont’s drama Variete from 1925. Both films deserve to be called masterpieces of the silent European melodrama and both feature plots that revolve around bizarre love triangles. Yet their virtues are ultimately as different from one another as are the virtues of the new discs that house them. Both films have been the recipients of painstaking new photochemical restorations although each new edition is not without controversy: Variete has been saddled with an anachronistic new score that has silent purists crying foul and The House of Mystery has been released on DVD only and not the superior Blu-ray format. I nonetheless will argue that both releases are absolutely essential for anyone who cares about silent cinema. Variete (also known in the U.S. as Variety and Jealousy) was Germany’s biggest box office hit of 1925 and it’s not hard to see why. 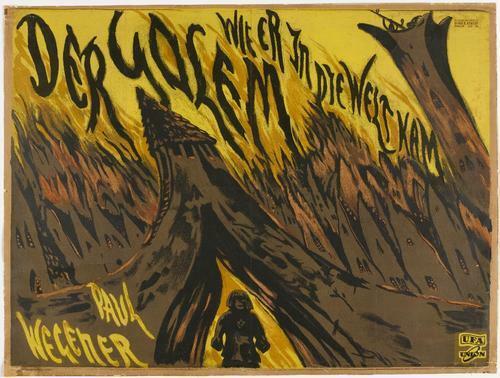 It came out during the height of the movement known as German Expressionism but, in spite of the extraordinarily fluid camerawork of Karl Freund (Metropolis) and a clever plot about the sinister goings-on within a circus, E.A. DuPont’s movie actually feels closer to the school of social realism with which directors like G.W. Pabst (Pandora’s Box) and Josef Von Sternberg (The Blue Angel) would soon make their mark. The film begins with a long-time prisoner, “Boss” Huller (Emil Jannings in an uncharacteristically restrained performance), breaking a 10-year vow of silence and telling his warden the tragic story, seen in flashback, of how he came to murder his unfaithful trapeze-artist wife (Lya de Putti). The whole thing is great but the undeniable highlights are the exhilarating trapeze sequences, the deft camerawork of which seemingly puts viewers smack-dab into the leotards of the performers, creating a thrilling “you are there” effect. Previously available on home video only in poor-quality and truncated editions, this definitive restoration of Variete by the redoubtable F.W. 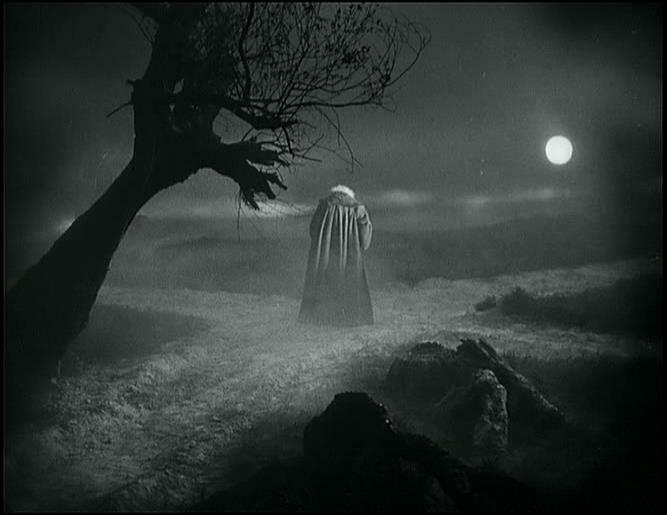 Murnau Foundation adds more than 20 minutes of footage unseen since its original release. While the image quality on the Blu-ray is predictably superb, the only option for an audio track is a controversial new score by the British musical trio The Tiger Lillies. 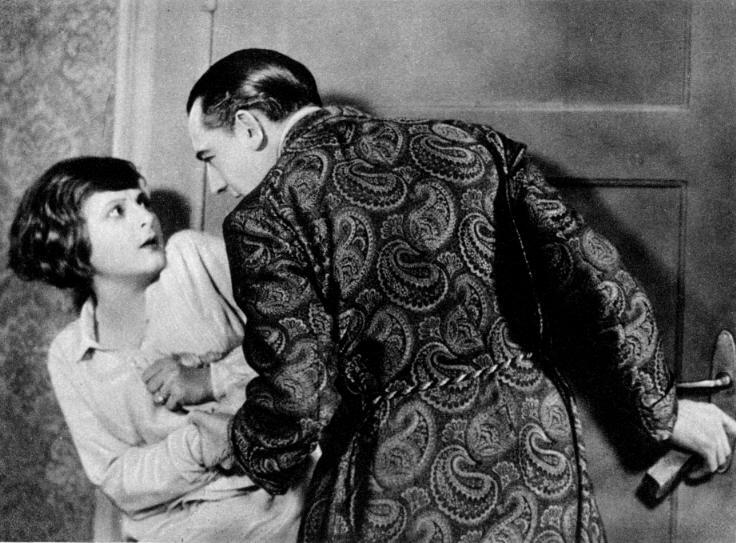 This retro-cabaret act’s score features sung lyrics (a no-no for silent films, according to many cinephiles) that comment directly on the onscreen action. Personally, I love it; most silent movies did not have official musical scores so I have to wonder what the point is of commissioning contemporary musicians to compose new scores for silent films if one is only going to handcuff them into imitating something one would’ve heard in a theater 100 years ago (e.g., a generic pastiche of 19th century folk tunes)? Contemporary viewers are, after all, watching digital versions of these films in their own living rooms, no? The musical score for a silent film need only be effective, I say, not attempt to function as some sort of time machine. Until recently, The House of Mystery was for me an unknown quantity — a film I had never heard of by a director I had never even heard of — but I purchased it sight unseen anyway simply because it is drumming up excitement in certain cinephile circles. 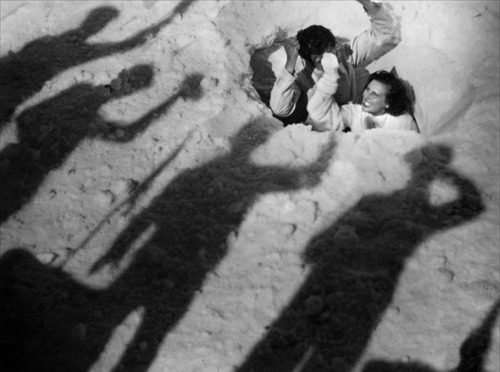 Directed by Alexandre Volkoff, a Russian filmmaker living in France, and co-written by Volkoff and his star and fellow Russian emigre Ivan Musjokine, this 10-chapter “cliffhanger” serial feels like the missing link between Louis Feuillade and Fritz Lang. 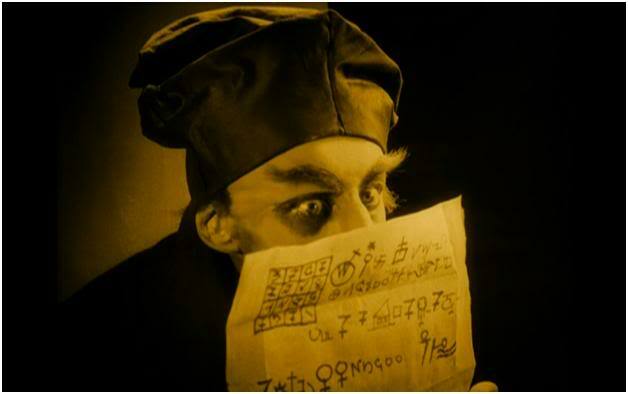 Like Feuillade’s Fantomas (1913), it begins with a montage of close-ups of Musjokine’s character, Julien, a master of disguise, posing in each of the many drastically different makeup jobs he will sport over the next six-and-a-half hours. Unlike Fantomas, Julien is not a master-criminal but rather a good-hearted factory owner who is framed for a murder he did not commit by the factory’s villainous director (Charles Vanel, later a favorite of Henri-George Clouzot) because he covets Julien’s beautiful wife (Helene Darly). Also different from the serials of Feuillade is how The House of Mystery‘s narrative follows a single clean story arc. Feuillade’s capers were beloved by the Surrealists in part because of their “we’re making it up as we go along” quality (often a cyclical capture-and-escape narrative-loop structure that perhaps best finds a modern equivalent in the endless death-and-rebirth narrative-loop cycles of the Resident Evil series). The House of Mystery, by contrast, is closer to classic “hero’s journey” epics like The Odyssey and The Count of Monte Cristo in its portrait of a man who escapes from prison and spends years attempting to clear his name and reunite with his family. 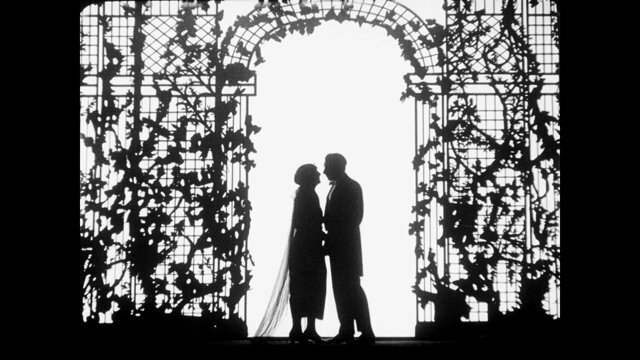 There are many astonishing set pieces along the way — including a wedding sequence depicted entirely in silhouette and an exciting prison-break/chase scene involving a hijacked train being pursued by mounted police. Flicker Alley’s release represents the first time The House of Mystery has ever been released on home video in any format and also serves as a reminder of how much our knowledge of film history depends upon the vicissitudes of fate. While a Blu-ray would have been preferable to this DVD-only release, you should definitely buy this anyway; it’s so good you won’t regret upgrading when and if a Blu-ray ever does hit the market. You can make a donation to the National Film Preservation Foundation here. You can purchase The House of Mystery on DVD directly from Flicker Alley here. The following Mad Max: Fury Road capsule review was rejected by Time Out Chicago since they informed me they already have a “network wide” review (i.e., one that appears in each of Time Out’s city guides), which they also informed me is usually the case with “big box films.” So I’m posting it here instead. Enjoy. Even if it weren’t any good, I would probably recommend Mad Max: Fury Road just because, as an R-rated “tent pole” movie, it’s something of an anomaly. I’m happy to report, however, that it’s more than good — it’s flat-out amazing from beginning to end, one of the leanest and purest pieces of action cinema I’ve ever seen. The film it reminds me of most is, believe it or not, Buster Keaton’s The General; the entire first half is basically one long heart-stopping chase from west to east and the second half one long heart-stopping chase from east to west. Exposition and the illusion of “character psychology” are refreshingly absent but it’s also full of the kind of highly idiosyncratic, occasionally surreal production-design touches that have always been director George Miller’s specialty (a combination electric guitar/flamethrower, chastity belts with metal teeth, etc.) and it’s all beautifully cut together (the shots match!) by his wife Margaret Sixel who had never edited an action movie before. 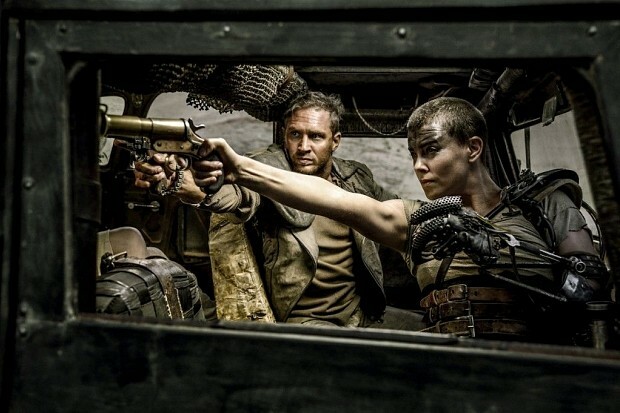 While Tom Hardy is credible as the laconic Max (a role originated by a then-unknown Mel Gibson), don’t let the title fool you: Charlize Theron, playing a kickass heroine with the irresistible name of “Imperator Furiosa,” is co-lead with Hardy and arguably the more important of the two characters. She’s the one on a specific mission — the details of which I won’t give away — while he’s more or less just along for the ride. Furiosa is also but one of several intriguing female characters in a movie that should satisfy fans of the earlier Max films while also offering surprises at every turn; the more I think about it, the more this action movie strikes me as genuinely subversive in its feminist bent — yet another reason why this is the one summer “popcorn movie” that everyone needs to see.